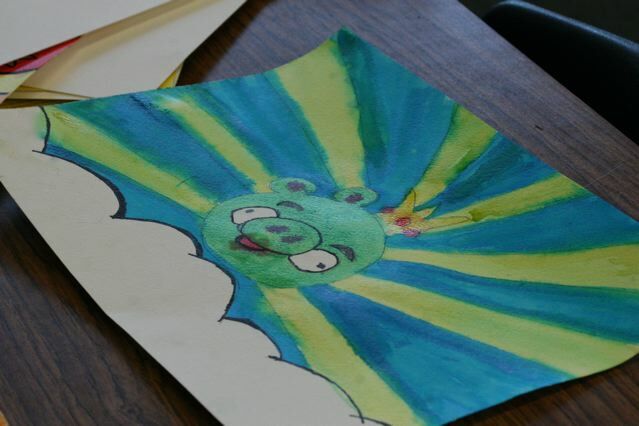 I told the students in the 4/5 we were doing angry art because I was angry I wouldn’t see them next week. They have the whole week off for ski week. 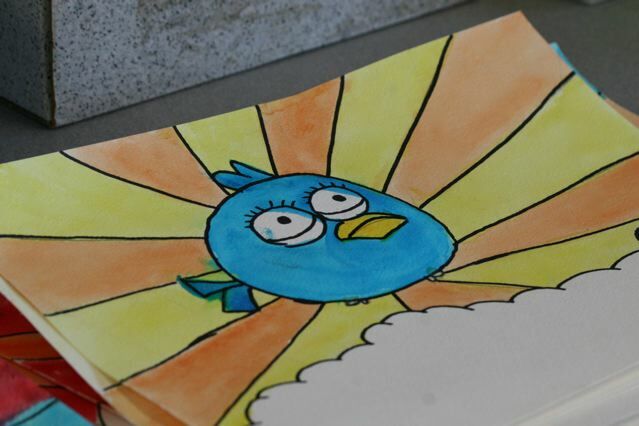 The kids watercolored Angry birds.